Gerald Hincka has more than 30 years of experience, specializing in the diagnosis, strategic evaluation and complete solution of environment-related business problems for clients around the world. He led the development and global expansion of segmented campaigns while serving as the account leader for clients in the specialty chemical, automotive, and petroleum industry segments. During his career, Jerry has held various operations, management, and technical specialist roles. He has experience in, auditing, environmental reserve management, and all phases of a remediation project lifecycle. 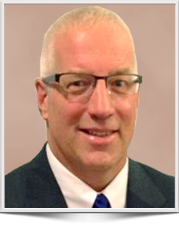 He has experience in RCRA, CERCLA, and various state programs, developed through a unique progression of projects and initiatives throughout the world. Assisted US Based corporate client in establishing Global Risk Evaluation process for use in multiple global manufacturing locations, with specific objective of establishing CE Marking alignment in European plants. Facilitated consulting teams’ interaction with multi-level, multi-country group of the client’s in-house technical experts; refined/enhanced existing Risk Assessment Process; ensured alignment with Applicable European Directives. Program included virtual team collaboration on objectives and outcomes, and in-plant application of team action plans and Risk Evaluation. Assisted US Based corporate EHS group in establishing evaluation program and completing incident reviews at individual plant locations. The project included assembling a global team, with local interface at corporate level and at each plant location; establishing goals of the incident review program (primarily to ‘normalize’ results compared to OSHA, so client could do true comparisons of rates/severity across their operations); created multi-lingual templates and tools for use at each location; completed reviews, and facilitated/generated action planning with corporate and local group. Evaluations were completed at plants in South America, Europe, Asia and Africa. Working with an established industry trade group, the Original Equipment Suppliers Association, created a format for members to share insights and best practices related to global regulatory and operations compliance. Workshops ranged from single country/single topic, to broad, full-day, global evaluations. Presenters included Suppliers and Operators as well as Consultants. Assumed management of 13 remediation locations, most including insitu mechanical remediation systems. Within two years, through optimization and regulatory advocacy, had two of the systems turned off; on the remaining operating systems, reduced O&M cost by 30 percent, while increasing operating efficiency (run time) from approximately 70 percent to over 90 percent. Cost reduction/cost avoidance during tenure as Program Manager was over $2,000,000. Took over management of legacy portfolio with more than 200 active incidents (retail service stations, bulk plants, pipeline incidents, distribution locations). During time as Program Lead, reduced site count by 60 percent, through regulatory program understanding/advocacy, and establishing clear paths to incident closure. Aggressive cost reduction was enacted on incident sites where we could not achieve closure. When Program was transitioned, annual spend had been reduced by more than 80 percent from 2002 levels. Assisted Major Oil Company in creating a compliance training/auditing program for their US network of Jobbers, Dealers and Distributors. Work included establishing compliance goals and requirements in the 36 US States the company operated in, development of training tools, templates, guidelines and checklists, and implementing from a regional to individual location level.